Jimmy Page doesn’t foresee a Led Zeppelin reunion happening again, but the guitarist is leaving the door open by saying the event would only happen if all members agreed – and for the right reasons. Following drummer John Bonham’s death in 1980, the remaining members of Led Zeppelin reunited for 1985’s Live Aid charity concert – where they were joined by drummer Phil Collins and Tony Thompson – and Atlantic Records 40th Anniversary event in 1988 with Bonham's son, Jason, behind the kit. “It was a blend of these four master musicians, and each of us were important to the sum total of what the band was,” hee adds. “I like to think that if it had been me that wasn’t there, the others would have made the same decision not to carry on. Besides, we couldn’t just get somebody in there and say, ‘Do this, this way?’ That wouldn't have been honest or of the same creative nature that we had always striven for. And it’s why we still have only done it properly once." 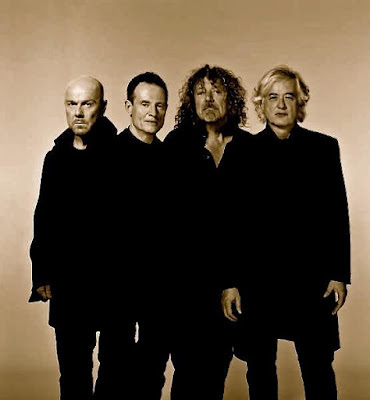 A UK tabloid report last year claimed Robert Plant had allegedly turned down an $800 million (£500 million) offer from Virgin head Sir Richard Branson for a Led Zeppelin reunion tour. Both Plant and Branson refuted the story, following which it was pulled from tabloid’s website. The media outlet published a report claiming Branson offered a contract for 35 dates in three cities – London, Berlin and in New Jersey – with an option to do 45 additional shows in five venues.